TORONTO -- So who will be the top top-rated North American skater when many of the NHL's best talent evaluators congregate one final time to determine NHL Central Scouting's final rankings prior to the 2011 Entry Draft in June? "The good news about this is that any team selecting in the top of the Draft, even as far down as No. 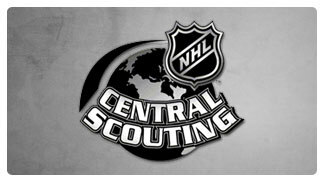 10 or 11, could end up with the best player available in 2011," Central Scouting's David Gregory told NHL.com. Judgment day begins Saturday when Gregory and the rest of the full-time scouts ponder that very question inside the Conn Smythe Boardroom at the NHL offices here. They'll spend three days debating, analyzing and arguing over the top prospects in junior leagues across North America before determining their list of the top 210 skaters and 30 goalies. "This meeting will be intense, as are all our meetings," Central Scouting's Chris Edwards told NHL.com. "I expect that the discussion we have for the first round will go on longer than normal. There are three or four guys who could be considered for the top spot. All of these players are excellent prospects and will get all of the attention and consideration they deserve." The scouts will look at players from the top junior leagues in the U.S. and Canada down to the best players in lower-tier leagues. Mike Morreale of NHL.com will be inside the Conn Smythe Boardroom at the NHL offices in Toronto from Saturday through Monday to provide readers an exclusive look at a few of the big stories coming out of NHL Central Scouting's meeting, where the final rankings for the top North American prospects for the 2011 Entry Draft will be set. Who is the top forward, top defenseman and top goalie? A final list of the 210 North American skaters and 30 goaltender prospects will be released in the coming weeks. The 2011 Entry Draft will be held at the Xcel Energy Center in St. Paul, Minn., June 24-25. In addition to timely features, Morreale will provide a running blog, "Prospecting with Central Scouting," on each day's events, as they happen. He'll also provide an exclusive alphabetical listing of the top 10 players from each of the six major junior-hockey leagues and regions -- the Western Hockey League, Ontario Hockey League, Quebec Major Junior Hockey League, USA-East, USA-West and Canadian juniors/midgets -- so check back often. "The biggest challenge for Central Scouting is trying to place a star player in a commonly acknowledged lower league where his skills have made him a star and project him to a tougher league," Director of Central Scouting E.J. McGuire said. "But we need to project three years down the line in the best League in the world, so the discussions get pretty heated but that's all part of the fun." Gregory expects plenty of passionate debate on opening day as the scouts look to compromise on a final first-round list. "This year's meeting will be difficult to get the first group of players into an agreed-upon order," he said. "There is really no clear-cut No. 1 pick as there has been in previous draft years. Even at the mid-term meeting, a player that was touted by many in the hockey world as a potential No. 1-ranked skater ended up out of the top-five players. One such player at that time was Brandon Saad of Saginaw (rated eighth among North Americans at mid-term). "When you look at the top five players from mid-term, there certainly will be some movement to where they fall during the final ranking meeting. Some players may fall a spot or two due to no fault of their own, but be passed in the rankings by a player or two having a very strong second half of the season." Kitchener Rangers left wing Gabriel Landeskog; center Sean Couturier of the Drummondville Voltigeurs; center Ryan Nugent-Hopkins of the Red Deer Rebels; Saint John Sea Dogs center Jonathan Huberdeau; right wing Tyler Biggs of the U.S. National Team Development Program; Portland Winterhawks left wing Sven Baertschi; Dougie Hamilton of the Niagara IceDogs, the top-rated defenseman; Saad, a left wing with the Saginaw Spirit; defenseman Nathan Beaulieu of Saint John; and Kitchener defenseman Ryan Murphy. "Several players have had very good second halves and have been identified as pro prospects and our ranking will reflect that," Edwards said. "I expect some movement in all areas of our rankings. Every year there are guys coming into the League and people say, 'I can't believe this guy was available in the fourth or fifth round,' and I'm sure this year will be no different." It helps that the scouts not only view players within their own regions, but also cross over into other areas in an attempt to compare and contrast players. "Our scouts have done a great job crossing over into each other's areas for extra viewings of these players, so I'm sure with some passionate debate we will get it right," Gregory said. "All the players mentioned could easily end up as the No. 1 pick. There are others that will be in the discussion as well, making the process all the more difficult." It's always interesting to learn where the group will project injured players who were highly regarded on the mid-term report. Last season, Prince George Cougars forward Brett Connolly was limited to just 16 games due to a nagging hip flexor injury, but Central Scouting thought so highly of him that they boosted him one rung in the final ranking to third among North American skaters. The Tampa Bay Lightning selected him with the sixth pick of the 2010 Entry Draft. When NHL Central Scouting released its mid-term rankings in January, forward Matt Puempel of the Peterborough Petes was No. 29 among North American skaters. However, his season would end 11 days before the start of the OHL playoffs due to a hip injury that required surgery. Much like Connolly, scouts say it's doubtful the injury will hurt Puempel's draft value. The 6-foot, 196-pound left wing had a team-leading 34 goals (15 power-play goals) and 69 points in 55 games for Peterborough this season. Ultimately, Central Scouting hopes to provide NHL scouts and general managers with a guideline or second opinion on a player for the Draft, which will be held at the Xcel Energy Center in St. Paul on June 24-25. Along the way, perhaps even a diamond in the rough. "This year's Draft has a lot of quality players beyond pick No. 15 and some say well into the third round," Gregory said. "As is the case every season, there's always a sleeper pick … a player who years later proves to be a dominant one in the NHL, and this Draft will be no different. The depth in the early rounds almost makes it a certainty. "Each year, there seems to be more and more players with even greater hockey skills and training. It occasionally takes a few years for this type of player to be playing regularly in the NHL, but it wouldn't be a surprise for someone outside of the first round to be playing within a year or two as well."